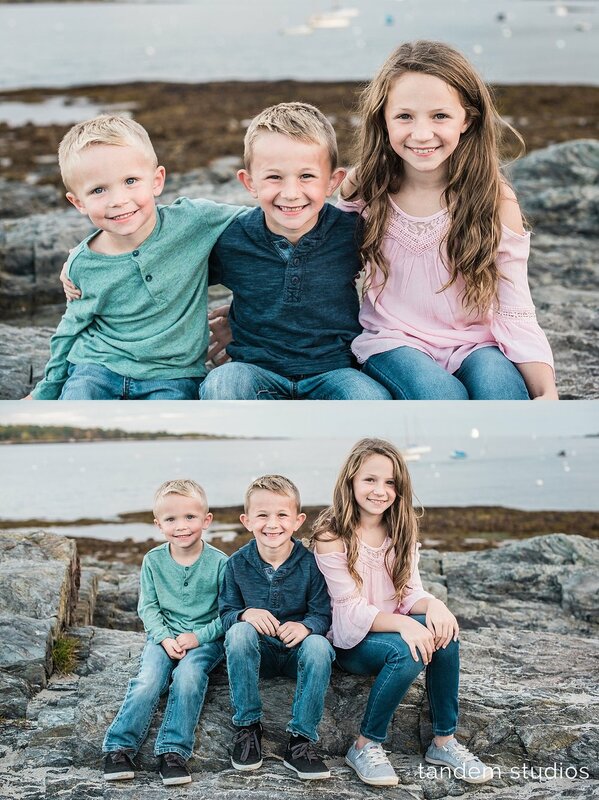 Not only is Willard Beach an awesome neighborhood beach in South Portland, but it's also a super fun location for a family photo session! We've known the Giffords for a very long time and have had the privilege of watching Ayzee, Dax, and Ryker grow up. They're a busy family of 5, but we're so happy that they were able to fit in a session with us on their way to a soccer tournament on Columbus Day weekend. It was definitely worth it!